Helps to Tone Muscles, Strained Muscles, Joint Pains, an excellent total body firming formulae. Massage Oil are nutrients for the skin and strengthen the nerve fibres that are connected to the hair follicles. 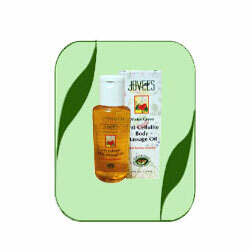 Jovees massage oil based on ayurvedic recipe is a unique preparation that has been processed scientifically to maintain the therapeutic properties of herbs and essential oil used in this formulae. It helps to tone muscles, useful in case of strained muscles, joint pains, an excellent total body firming formulae. It also helps in reducing excessive fats on the body. Apply on body and massage using firm and circular strokes. Take a shower.